15" two tone EAGLESPORT backpack. Our series backpack offer great quality features at a great price for all. 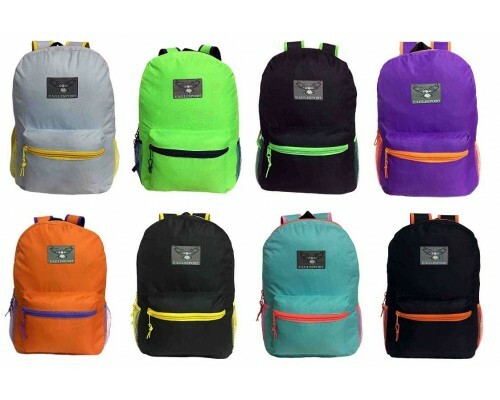 These backpacks have a large main compartment and a big front pocket. 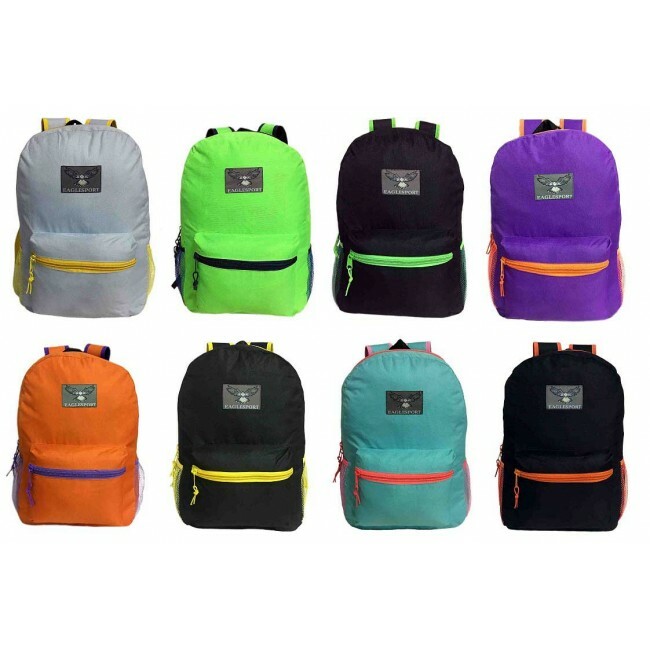 This top quality wholesale backpack offers maximum comfort with a padded back and contour padded adjustable back straps. Don't be fooled by other competitors that cut corners with a non padded bag and cheap shoulder straps. Our EAGLESPORT backpacks have the largest and strongest number 10 zippers in the market. Further more we have added on the top of the backpack an opening for headphones and inside a mesh pocket for the MP3 player. We also wrapped the handle with mesh that adds comfort when handling the bag.